The beached dead whale on Newport Beach seems to be a popular search subject so I’ll put up a few more pics. 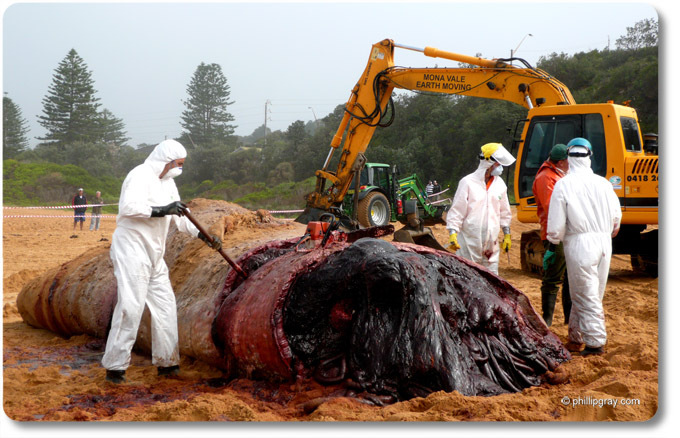 It was a dead sperm whale that washed up on the beach. National Parks and Council had to cut it up and take it away in trucks!